Stellerite is helpful if you often react to situations with an emotional outburst that you find difficult to prevent or to control. 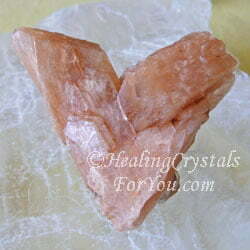 It has a lovely heart based vibration that is very emotionally supportive. 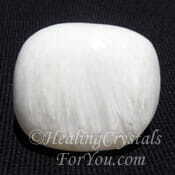 This is a helpful stone to aid you to better understand spiritual teaching and will also enhance the creative power of your thoughts. It helps you to deal with changes taking place in your life. 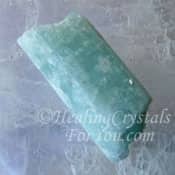 Change can be confronting and you may need support to aid you to handle changes in your life, which is where this crystal may be utilized. Most of us are aware of the changes that have been happening in the world, and this can be disturbing to see, even if you are not actually involved. Used in meditation, it has a good action within the higher chakras, and may be utilized to aid you to make contact with angels. 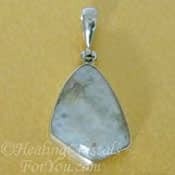 This contact may be unusual, in that this stone may attract beings to you that have something of value to impart to you that is personally beneficial. The meaning of this crystal's name, relates to the man who discovered and named it, a German explorer named George Steller. The way it looks and its color varies depending on where it comes from, but it commonly looks a lot like Stilbite as they have a similar physical structure. While to the eye Stilbite and Stellerite look quite similar, they have a different chemical make-up, which give them different metaphysical properties. Its color ranges from totally colorless, through to white, pink, peach, orange and the lovely salmon stones that so closely resemble Stilbite. It has a lovely pearly luster and an orthorhombic structure, meaning that many of the stones are found in quite amazing forms. They fan out from the base of the stone, in what may be described as rounded radiating structures. 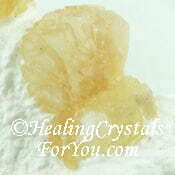 This lovely crystal is a variety of zeolite that is found in a number of places in the world. It is found in a few different locations in Australia, as well as in India, Pakistan, Kazakhstan, Russia, China, Switzerland, Italy, Norway, Sweden, Mexico, and in a number of places in the USA. 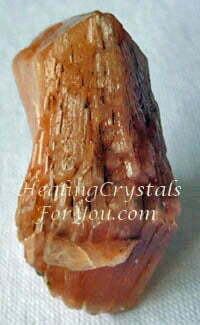 This stone has a fairly strong vibration, that can be felt quite easily. Its predominant energy relates to change, and it can benefit you when you are making the choice to make changes. 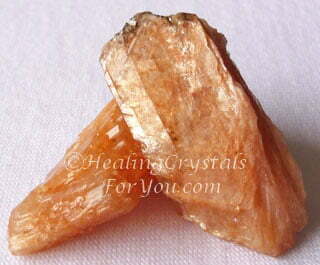 Stellerite holds the vibration of being able to perceive truth and utilize this to make changes in your life, to alter your life and achieve transformation. Change and transformation are two of the strongest energies operating at this time in the world. Many of you will have seen it happening, as the desire for change has swept through so many countries. I believe that this lovely stone could be an amazing asset to help you to make changes and transform yourself, yet without fooling yourself as to the result. 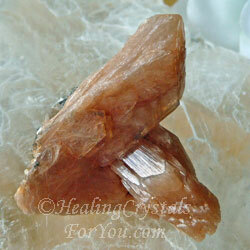 In other words, the vibration of this crystal helps you to take off the rose colored glasses and see reality. Be aware that you can make authentic changes in your life, if your way of thinking is real. 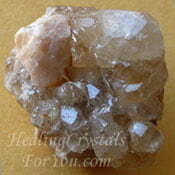 Stellerite embodies an energy to help you to make change and to move yourself in the direction of where you want to go. 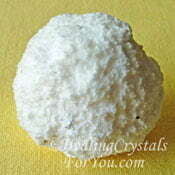 It has a lovely energy to use for meditating with. During meditation, it may help you with contacting the angels, and in particular with connecting with the archangels and others from the highest realms. 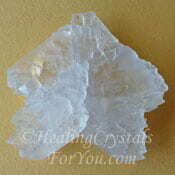 Use it at the crown chakra to both align your chakras and to center you. 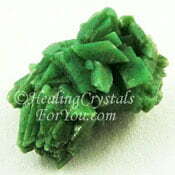 This crystal has a powerful action within both the higher heart chakra and the heart chakra, to help you to heal emotionally. 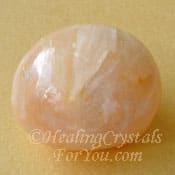 This is an excellent stone to keep on your body when you are trying to get a grip on certain ideas within spiritual subjects. When you first start to study spiritual teachings you may find features of certain topics difficult to fully understand. Many widely taught and discussed aspects of both spiritual and psychic development may not be easily understood, even when you have experienced them. 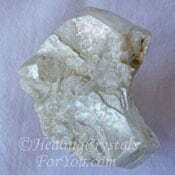 By keeping a piece of this stone on you this may aid you to fully comprehend what you have read or gone through. 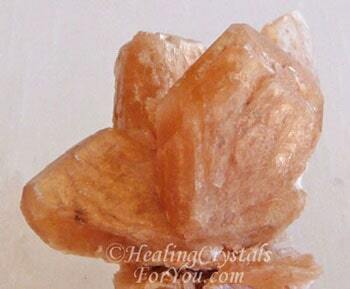 When using this crystal in your meditation, be alert to having information of value communicated to you from the angelic realm. Expect it to be extremely pertinent to you personally. 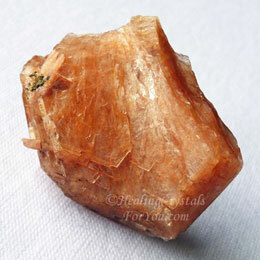 Used at the base or root chakra it may both center you as well as helping you to understand what stage in life you are at. 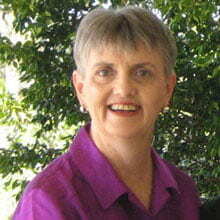 It may assist you to decide what actions to take to ensure a happy and joy filled existence. 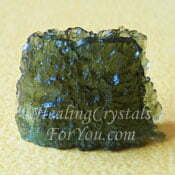 This is an excellent healing stone that is known to aid a number of health problems, including aiding autism. If you have an autistic child they may benefit by having a stone nearby, to help them to deal with their emotions. It is known to be helpful to treat problems in the blood, in the muscles and to aid osteoporosis. It is also known to aid issues in the body caused by an overly alkaline state, and will help any type of health problem that is the result of long term negative feelings. 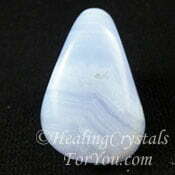 Using this stone is one of the ways to relieve your stress. 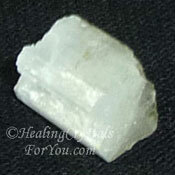 Health problems related to stress or anxiety may be helped by using this stone. Stellerite aids you to be truthful in the way you look at your life. It assist you to recognize that you can look at the world in a way that encourages your life to be happier, rather than dwelling on negative past experiences. As I mentioned above it helps you to recognize when you are trying to fool yourself. This is especially true when you feel start to experience emotions such as recrimination, resentment and anger, or any emotions that are not positive and that create conflicted feelings. 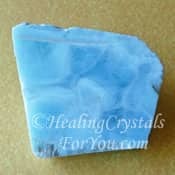 This stone can help you to stop yourself from reacting in the same old way you always have, and it does this by helping you to see what is actually happening. By helping you to identify the way you are feeling, and what you are experiencing, it aids you to stop the emotions from getting out of hand. 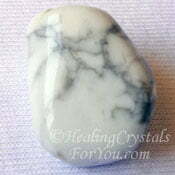 This lovely stone aids you to see that a negative emotional response is not an effective way to handle the situation. It also helps you to let go of the emotions surrounding the situation. By aiding you to identify what the cause of your feelings was, it helps you to release the negativity you are feeling to bring you emotional healing. It assists you to learn from what happened and to discover what the cause of the emotional response was that prompted the emotional outburst. This may be preferable to allowing yourself to remain bound up in feelings of negativity. 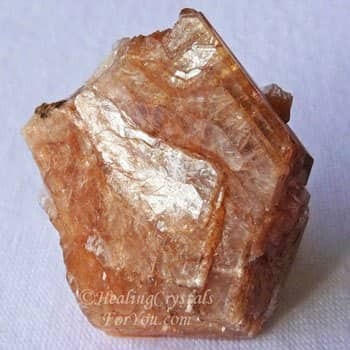 It is an Aries birthstone, and although jewelry made from it is not common, keep a piece of this crystal on your body as it may help you to work out how you can alter your life and be happy with the result. 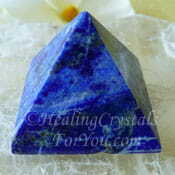 This stone has an excellent vibration within the brain, especially if it is used within the higher chakras, including at either the crown chakra or within the third eye chakra. It will aid you to have a better understanding within any field of learning involving the need to comprehend spatially, such as the areas of mathematics and geometry. This stones vibration for truth helps you, as it allows you to make changes and not to fool yourself as to the end result of the change. Yet at the same time it also has an energy that aids you to see that what you hold as true can become true. It helps you to recognize when illusion is getting in the way of you being able to make changes that lead to eventual transformation. Stellerite assists in allowing understanding of how this happens and aids you to recognize the process of cause and effect operating in your life, and to utilize this and to take action. It is helpful for enhancing your creativity, and is especially helpful to encourage the creative power of thought when combined with using positive affirmations. It is known to be particularly helpful when you want to encourage your life to be in the flow with the Divine mind. The past does not have to equal the future! 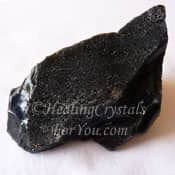 Stellerite may be helpful to you emotionally, and could be particularly useful to you if you regularly react to situations with an emotional outburst that you find hard to remedy or to control. Use it in your daily meditation, as it has a good action to help you to make a connection with the angels. 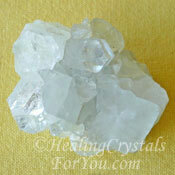 They may tell you something that may be extremely valuable to you, as well as giving you emotional healing. 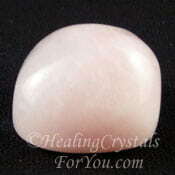 It is a heart based stone that will help you to deal with negativity better. 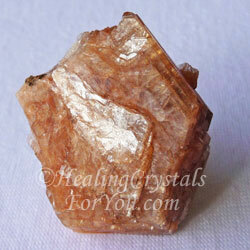 This crystal may assist you when you find change sweeping through your life. Sometimes the need for you to make changes is essential to your well being, yet at other times change comes into your life from outside forces acting in your life. This can be confronting and you may need something that will give you support at this time. "Change is the law of life, and those who look only to the past or present are certain to miss the future." John F Kennedy. 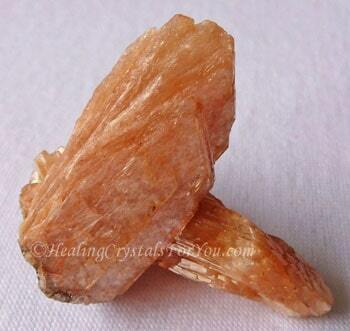 If you have been experiencing a lot of negative emotions, it may be beneficial to combine this crystal with other crystals that bring emotional healing, and support you when you are releasing negativity. 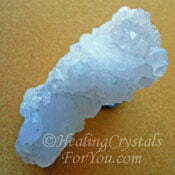 There are a number of crystals that help you to cope with anger, and in particular there are some stones that may be helpful. The following crystals are all stones that may aid you to release any anger you may be feeling, and which are beneficial to combine with this stone. 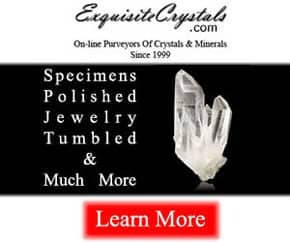 This group includes Aquamarine, Black Obsidian, Rose Quartz, Howlite, Agrellite, Aragonite Star Clusters, Seriphos Green Quartz, also known as Prasem Quartz, Lapis Lazuli, Larimar and Blue Lace Agate. 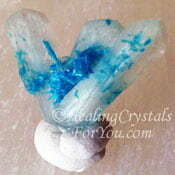 Using these stones together may aid you to achieve contact with the angelic realm more easily. Use it with Selenite, Moldavite, Cerussite, Scolecite, Stibnite or to open you up to the possibility of creating major transformation in your life. 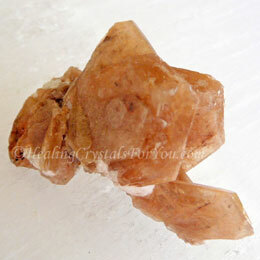 It may also be beneficial to combine Stellerite with the other zeolite crystals, and many of these are high vibration stones. 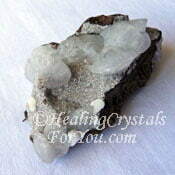 Zeolite crystals such as Natrolite, Goosecreekite, Clear Apophyllite, Mordenite, Cavansite, Scolecite, Chabazite, Tunellite, Stilbite and both Green and White Heulandite are high crystal energy stones that will aid your spiritual growth, and that will combine well with Stellerite.